This entry was posted on Monday, February 25th, 2008 at 12:47 pm	and is filed under Internet entrepreneurs, Pure Incubation, Start-ups. You can follow any responses to this entry through the RSS 2.0 feed. Both comments and pings are currently closed. There are two sides to every coin. But it’s still a coin. haha cool list, good stuff here. 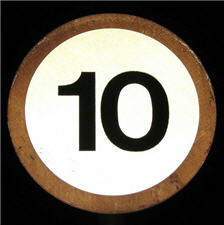 Cambridge Cluster » Blog Archive » 10 traits to make an entrepreneur I don’t think! Great list of “negative” traits for entrepreneurs. Even though society may view them as negative there is some track record that these can be turned around used in a positive manner to support entrepreneurship.